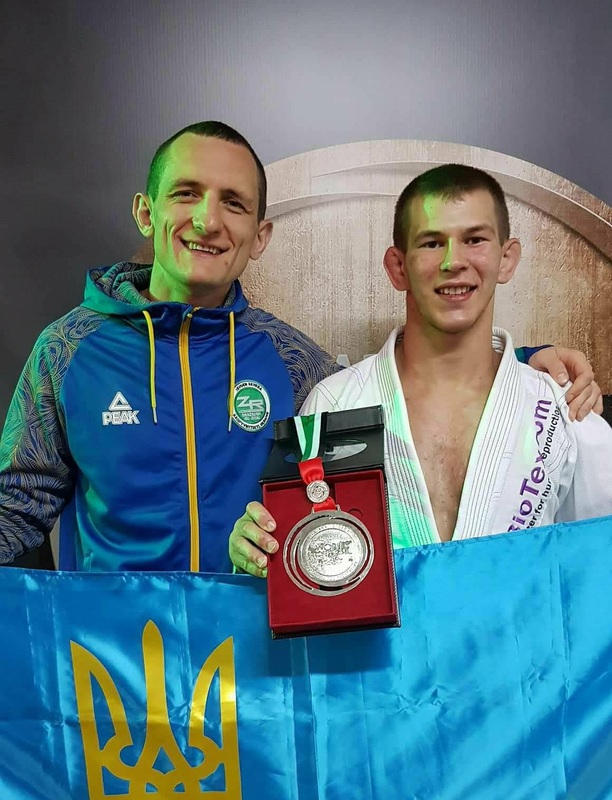 Jiu-jitsu.News: Ukrainian fighter won silver at the “Abu Dhabi World Professional Jiu-Jitsu Championship 2018”! The Abu Dhabi, UAE, hosts one of the major championships in the world – “Abu Dhabi World Professional Jiu-Jitsu Championship 2018” till April 28. Among the participants there are only the strongest sportsmen from all over the world so each fight is supposed to be interesting and unpredictable. The exciting fight took place in the 69 kg weight category among the purple belts. For the first time ever the Ukrainian sportsman got on the podium of the World Jiu-Jitsu Championship in such a prestigious category! Yaroslav Blazhko became a silver medalist of the “Abu Dhabi World Professional Jiu-Jitsu Championship 2018”! In the semi-final the sportsman from the SC “Borets” / ZR Team Ukraine Yaroslav Blazhko successfully competed with French champion Haidar Abbas and got the victory. However, he had no time to take a breath when it was necessary to start the final match with Italo Moura (a purple belt from Cicero Costha). Moura won the 69kg final by submitting 2018 European silver medalist Blazhko with a rear-naked choke that gave him 14 points. Nevertheless, according to the head coach of the club Ievgen Skyda, Yaroslav Blazhko has shown himself as a worthy competitor and got a well-deserved award for his work.